Unfortunately, there are currently no tours to Serbia. 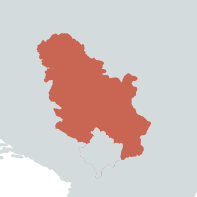 On the Balkan Peninsula in southeast Europe, Serbia is a country that for many years was occupied by the Ottoman Turks. The country’s medieval sites contain art treasures of an extremely high quality, as ACE Tour Director Alex Koller writes: “Serbian art history is concentrated in the country’s monasteries to a degree that is perhaps unique in Europe”. Previous ACE tours have taken travellers to witness this history and visit monasteries and sites less often frequented by foreign travellers.